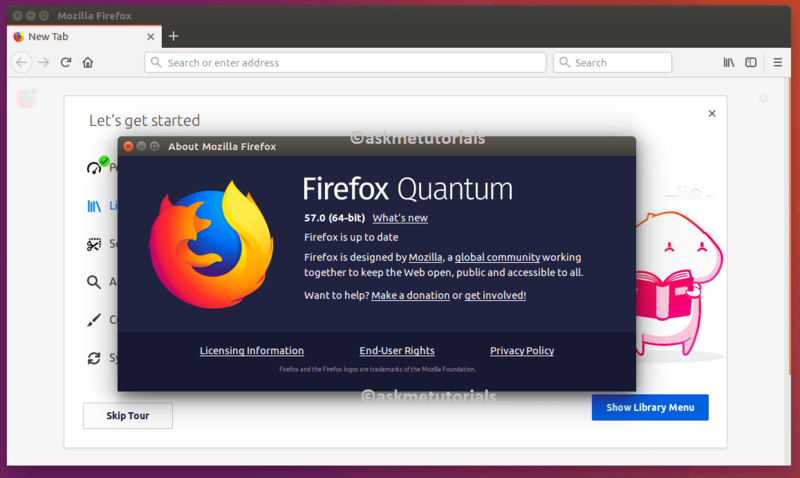 In this Tutorial I will show you how to install Firefox 57.0 on Ubuntu 17.04 / 16.04 LTS /14.04 LTS,LinuxMint 17,Fedora 26 and CentOS 6.X / 7.x. What's New in Firefox 57.0? Firefox is getting a major Visual Redesign (Photon project) activated on the Nightly channel and which will ship with Firefox 57 on the release channel. Removed the Share button. If you relied on this feature, you can install the Share Backported extension instead.